In the fall of 2015, I managed outside vendors and internal campus resources to produce three videos and several photos utilizing a drone. 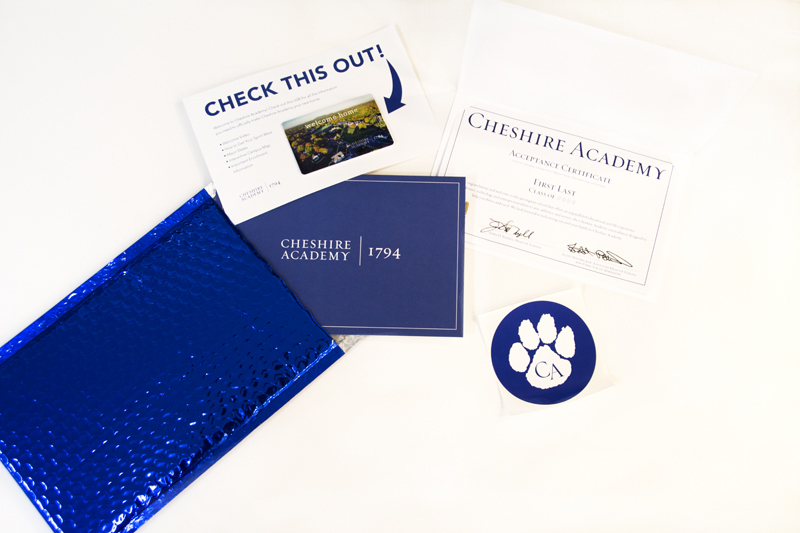 The goal of the project was to showcase Cheshire Academy’s 104-acre campus, especially for prospective student applicants who are unable to visit the campus in person. An additional purpose was to highlight the backfields, which cannot be accessed by car and are not part of the prospective student and family tour. Footage and editing was completed by Flying Fox Photography, LLC and required three days of filming on a tight production schedule. One of the highlights of the shoot was being able to get footage of a varsity football game at dusk, and seeing the football team race out of the locker rooms onto the fields. Another tricky shot that we were particularly proud of included the ropes course, one of the few full courses in Connecticut, as navigating the drone through the cables required a delicate hand. The first video in the series, titled “Welcome Home” was used as part of the 2016 Admission Acceptance marketing campaign, designed to increase the Academy’s acceptance/enrollment ratio. The film was uploaded onto a USB and mailed to accepted students in an exciting, well-branded package in addition to being emailed to accepted students. The second video is used in Admission marketing for international presentations, and the third video is used to feature athletic facilities that are too far away from the main campus to be included in campus tours. Pictured: USB printed with drone photo attached to an explanatory postcard, CA sticker, and acceptance certificate. 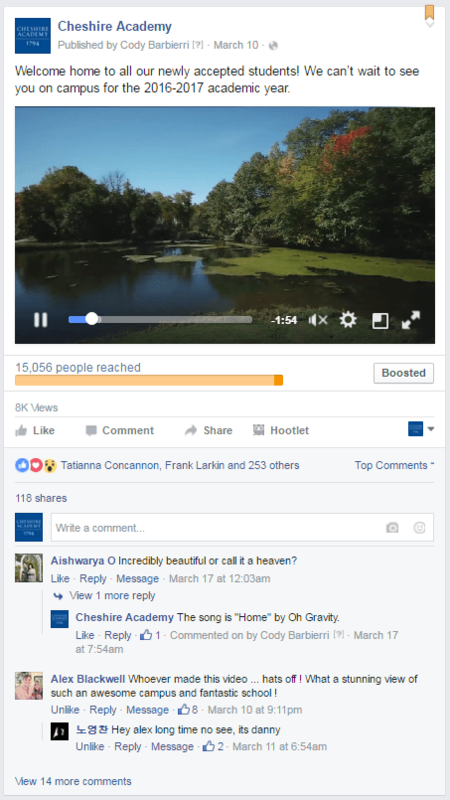 The Welcome home video earned just over 15,000 impressions, 200 likes, and 100 shares. This email was sent to accepted students with the subject line, “Welcome home. ” It achieved a 64% open rate and a 32% click rate.